This project is an exploration of extreme opposites and the tensions and thresholds that lay between them. Hot and cold, interior and exterior, dry and wet, solid and void. The building, a complex of thermal baths, is broken up into pavilions that embody these tensions. At the urban scale, the site is a curious junction between the Halifax’s residential North End and the monumental Citadel Hill to the South. 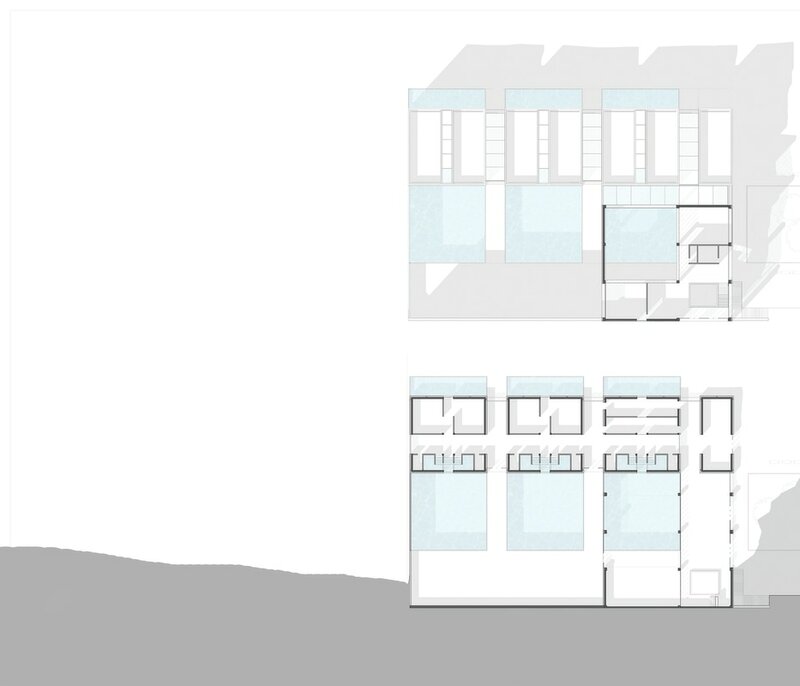 The morphology of the project attempts to address these disparate typologies, with a tall mass on the southern side of the building reaching up to meet Rainnie Drive and provide street level access to an array of public amenities. The thermal baths are organized by a series of pavilions which exemplify a structural sequencing of site-case concrete, CMU partition walls, and finally a granite veneer which creates a rain screen on the exterior surface of the building and a cavity where services run along the interior of the building.